Trust the Process, Love the Journey. Creativity often requires that we trust the process. Scott not only trusts the process, but also embraces the journey and the unknown of what he will find if he continues searching for the gifts that Mother Nature provid es. Over the course of his career, he has learned to follow his instincts and not wait to capture moments that may never return again. 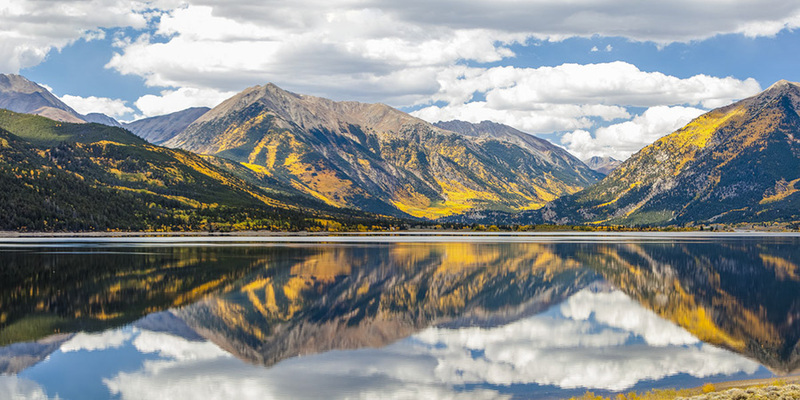 While on his way to Aspen, Colorado, Scott decided to enter the area from the south. As he started to make his way into the Twin Lakes region, he popped over a hill and was blessed with this view of a perfectly still lake with vibrant fall colors reflecting in the water. Trusting that he was drawn to this place for a reason, Scott still gets a lump in his throat when he thinks about how lucky he was to witness this beautiful moment in time. Photo © copyright by Scott Papek.